Alright, I’m hitting you with two breakfast posts in a row to make up for my procrastination in the category. 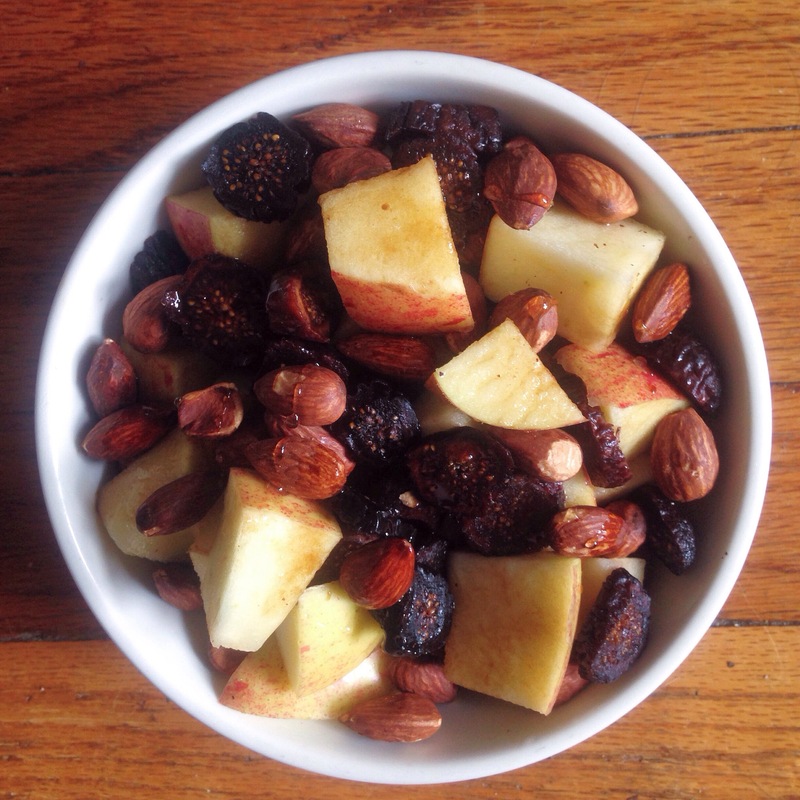 This is going to be a short one and no cooking involved because, like I said in my first brekkie post, I keep it simple in the mornings with lots of fruit and nuts. 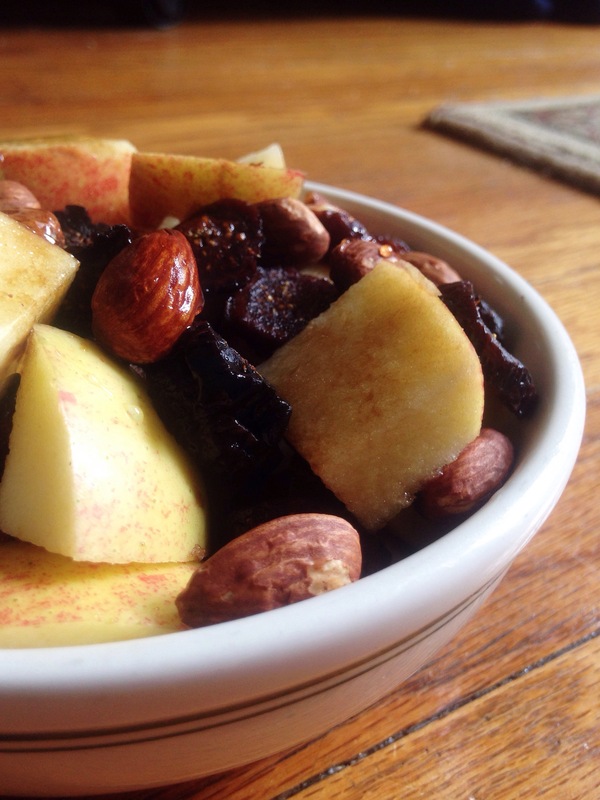 And I wasn’t kidding – most of the ingredients for this recipe are in the title. But no one likes the mid-morning hungries, so this is REALLY filling to keep you going until lunch. It’s good to start the day with a big breakfast and a big dose of fiber. I almost couldn’t finish this bowl. But then I did. It was yummy. Also A+ with a cup of coffee. Chop the apple into cubes. Slice the dried figs. 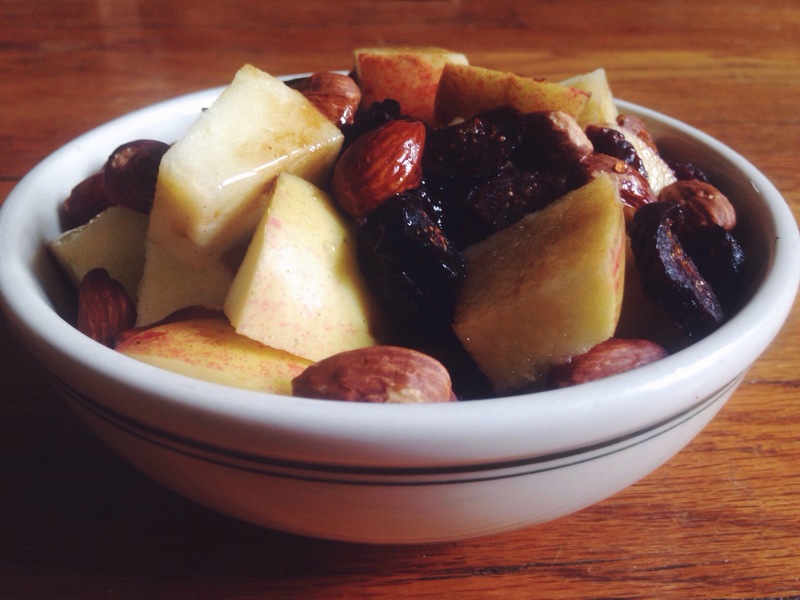 Combine in a bowl with the almonds, and then drizzle balsamic vinegar and a bit of honey over the top. Breakfast is served. So simple but very yummy.